Exude elegance in the Paloma fitted strapless bridesmaid dress featuring insert lace train and bodice detailing, a classic style suitable for any formal dress event. With the beautiful fit to flare design, the Paloma Fitted Strapless Bridesmaid Dress is sure to be a beautiful dress for your bridal party. With the stunning floral lace applique design on the bodice before offering a thing belted waist and how the dress caresses over your hips into a flaring skirt with a small train. 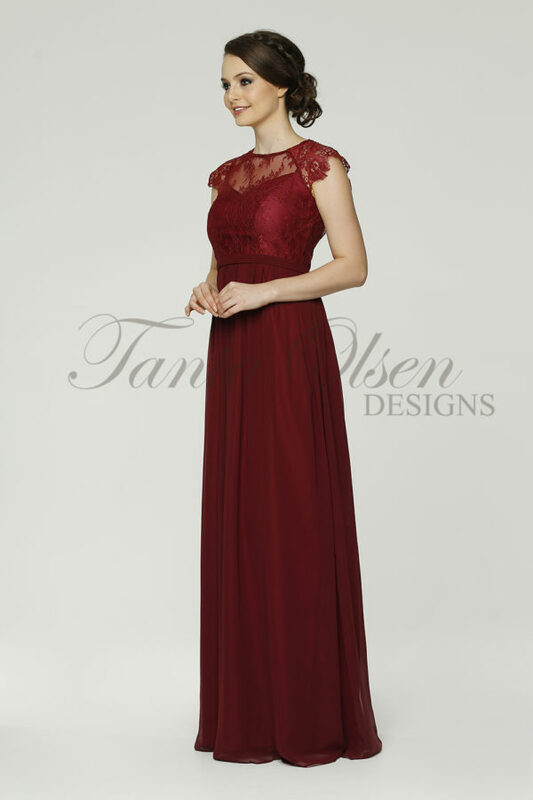 This beautiful dress is so versatile wear it to any formal dress event.